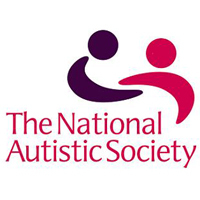 The National Autistic Society (NAS) is working with Lloyds Banking Group (LBG) to look at the autism accessibility of banking services and support. We’re holding a focus group on 27 February, at 125 London Wall, London, EC2Y 5AS from 13.30 – 15.30pm. If you are autistic, or are financially responsible for an adult who is on the autism spectrum, and you are a current bank account holder with Lloyds, Halifax or Bank of Scotland (not Royal Bank of Scotland) we’d really like to hear from you. You will receive £50 payment for attending, as well as reasonable travel expenses. If you need a carer to travel with you, their expenses will be paid too. The group will have maximum 10 other people, and be facilitated by The National Autistic Society, supported by Lloyds Banking staff. You will have the opportunity to share your thoughts on your banking experiences through small group discussions and/or by writing information down. Focus group questions can be made available to you in advance, and other adaptations are possible – please contact me to discuss. Your participation will really help Lloyds Banking Group to better support the needs of autistic customers.